Cheltenham Festival, The Arkle Tips, Champagne Fever, Dodging Bullets. The Racing Post Arkle is regarded a breeding ground of some of the greats of the National Hunt game – recent winners such as My Way De Solken, Tidal Bay, Captain Chris and Sprinter Sacre exemplify that. This year’s renewal, which will be run on Tuesday 11 March, is an intriguing contest with five or six horses holding realistic claims of landing the prestigious race. Leading the market is the Willie Mullins-trained Champagne Fever. At 6/1, he was initial favourite once the gates closed at last year’s Festival, where he overshadowed My Tent Or Yours and Jezki in terms of his size and opportunity by winning the Supreme. 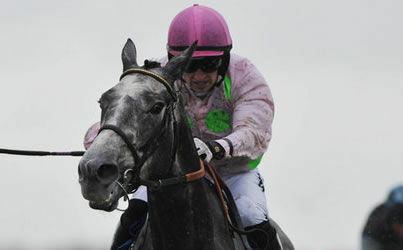 Pick up a free £200 bet on The Arkle and back Champagne Fever at a best price 3/1 with Bet365 – Exclusive to Freebetshere.com! If he reigns victorious in the Arkle, he will accompany Bobs Worth as the only other horse since Flyingbolt to win three different races at Cheltenham in consecutive years. He is now available at 3/1 but his preparation has been far from ideal. Popular opinion suggests that he is currently priced up according to his reputation at around half the odds that were first revealed a year ago having only won a beginners chase in three starts since that Supreme victory. Though his backers should approach this race with caution, Mullins doesn’t want a repeat of the mistake at Leopardstown where he and Defy Logic both took off too early, but it was Champagne Victory who was spent and landed on the penultimate fence costing him third place. Mullins has never had a winner in the Arkle could Champagne Victory buck that trend? His main rival on what has been shown this season will come from Dodging Bullets, who progressive profile makes him a big player at 5/1. Son of flat top stallion Dubawi, Dodging Bullets always looked a chaser despite his flat genes and appears to have taken to the jumps very well after Nicholls persuading the owners. He needs to build on his form if supporters are going to back him in the Arkle. The classy customer has grown up since last year and approaches races in a more relaxed manner. Trifolium is another with a squeak of winning at 5/1. He won the Irish Arkle in fine style but the conditions at Prestbury Park will be very different to the ones at Leopardstown. It’s also best to know that the last horse to win both Arkle’s was Klarion Davies back in 1995.